Selecting just the right tools to build a website or a portfolio isn’t always an easy task. Part of the problem is the abundance of choice; digging through all of them to find out what will work best for you can be a challenge. The website and portfolio-building tools we’ve listed here are as good as you will find anywhere – better, in fact, as they are known and trusted within the web design community. What these tools have in common are simplicity of use, affordability, innovative and time-saving functionalities. You will not be burdened by a host of features you have little or no use for. Some on the list are oriented towards portfolio building, but with the right tools, the sky’s the limit. These tools empower designers who may not be code-savvy to build a standalone website without requiring developers’ assistance, thereby saving on development costs. Even developers will find that one or more of these tools could be deserving of a place in their toolkit. Cornerstone was initially released as premium multi-purpose WordPress theme’s new and innovative page builder and editor. It gained popularity almost immediately, and Themeco soon released it as a standalone tool. Cornerstone appealed to those who preferred to work with this time-saving, productivity-enhancing, frontend page builder. Cornerstone’s interactive and real-time preview and edit displays prevents a repetitive and time-consuming edit-save-review routine. While we strongly recommend this website- and portfolio-building tool as a standalone tool, you can enjoy the best of two worlds by also investing in X, Cornerstone’s parent theme. This page-builder features an extensive library that is updated and expanded on a regular basis, amongst a wide range of other full-fledge features designers and developers would love. SnapPages lives up to its name. 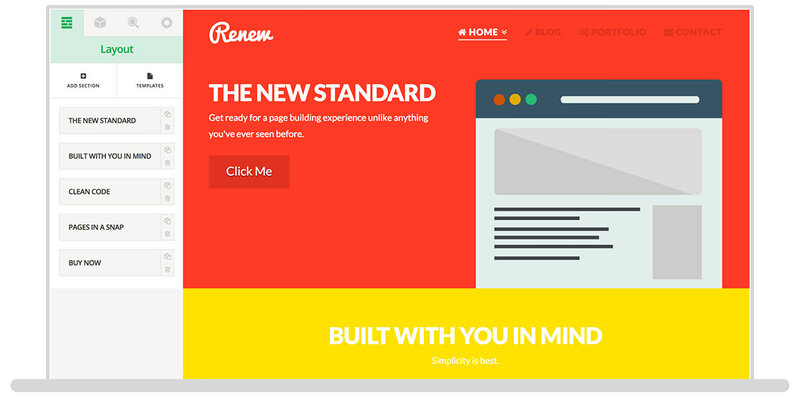 This easy-to-use page editor makes website building truly a snap. All you need to do is to choose one of the professionally designed, modern themes, and customize it as you or your client sees fit. You will enjoy working with the HTML5 drag-and-drop editor, not to mention SnapPages’ touchscreen functionality – great for working from your laptop or tablet. The HTML5 designation doesn’t mean you have to be a programming whiz to enjoy the benefits of this tool. Like every other one in this list, coding is not required to build websites, blogs, portfolios, eCommerce sites, etc. The authors and support team will even take care of hosting and servers, saving you time and worry. If you ever enjoyed building things with Lego blocks, you’ll love building websites with XPRS by IM Creator. That’s the way this tool goes about its business. 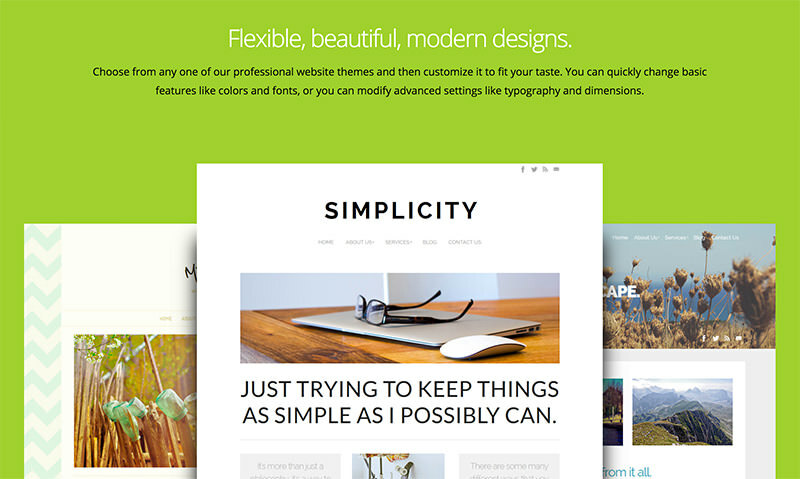 Browse the portfolio of pre-built themes, which are tastefully arranged into 18 popular categories. When you pick one or more, you will see how, with XPRS, you can divide a theme into strips that you can customize, mix, and match. This is where the building block analogy comes in. Students, artists, and non-profits can use XPRS for free. Those who choose the commercial plan need only pay a small monthly fee of $7.95. Web designers who serve a large number of clients really luck out! For an annual $250 fee, they will have access to the white label edition with its unlimited number of licenses. The cost per license evens out, making this an investment for the long term. Themify is another drag-and-drop page builder that can be used with any WordPress theme. Its frontend editing capabilities enable you to watch your design evolve while viewing your additions or edits in real-time. A knowledge of coding is unnecessary. All you need to do to get started is to pick a theme. Be sure and check out the promotional discounts before you do so however. You’ll save both time and money. Themify comes with parallax scrolling, background video, animations, and a few other goodies. AllYou.net is designed to take the grind out of putting together a portfolio-type website. The grind element comes into play because portfolio websites must be easily navigable, which for a designer is not always an easy thing to accomplish. AllYou.net will take care of the grunt work for you. This frontend drag-and-drop editing tool, with its selection of customizable templates, makes it possible to put together a dazzling portfolio in an amazingly short time. All you need to do is have the content on hand. Take advantage of the 14-day free trial; you can look into the price plans later. The Divi Builder is one of the most innovative page builders on the market. When it was first introduced as Divi WordPress theme’s page builder/editor of choice, this popular theme quickly and instantly became even more so. The Divi Builder plugin can be used with any WordPress theme. The demo on ElegantThemes Divi Builder’s home page does an excellent job of illustrating how powerful and easy-to-use this design tool is. It was noted elsewhere how difficult it can be to build a well-structured, highly-navigable website or an online portfolio. That’s not the case when you have Portfoliobox at your fingertips. Select one of its trendy templates or layouts to get off to a good start, and let this web-building tool’s sophisticated functionality take it from there. There is no need for coding, and Portfoliobox comes with hosting and a free domain. You can open a free account to get started, and sign up for a pro account later if you wish. These tools have several things in common. They are extremely easy to use, they are portable, almost all feature drag and drop functionality, and they are affordable. Several feature frontend editors, and one even has touchscreen functionality. Two are portfolio website oriented, although you can use any of these tools to build a sparking portfolio. Try the demos, the free trial offers, or the tools that feature a free account. Then tell us what you think in the comments below.